This was a one-day silent retreat at our church which included group practice of the energization exercises and long periods of meditation. We concluded our day of devotion with a social dinner of catered Indian food. This weekend retreat was conducted by the volunteers of the Minneapolis Meditation Group at the Assisi Heights Spirituality Center in Rochester, MN. This was a one-day silent retreat at our church which included group practice of the energization exercises, periods of meditation, inspirational readings, chanting and kirtan. In the afternoon, we watched an SRF DVD entitled “Awakening Devotion: The Yearning of the Heart that Takes You To God” by Brother Anandamoy. We concluded our day of devotion with a social dinner of catered Indian food. 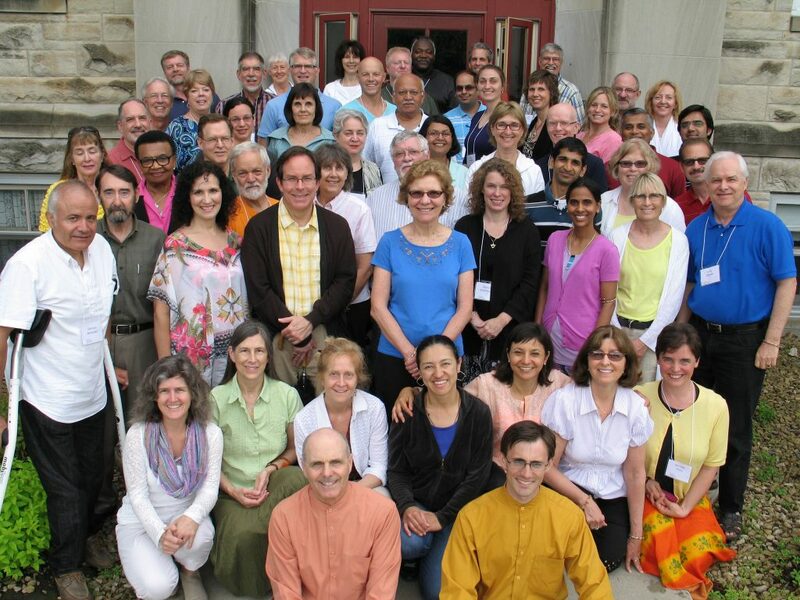 This retreat was conducted by Brother Devananda and Brahmachari Daniel from Self-Realization Fellowship on a sunny and pleasant spring weekend at the Villa Retreat Center in Frontenac, Minnesota. Here is the group picture from a previous retreat at the Villa Retreat Center which was also led by monks from Self-Realization Fellowship.